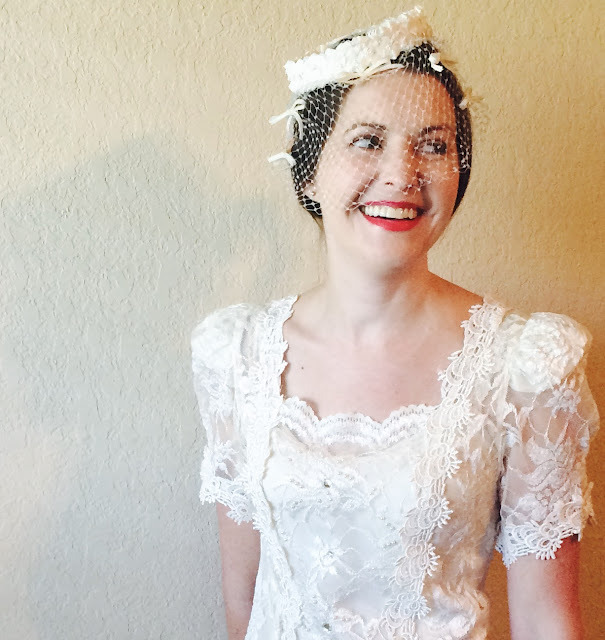 Rags Restyled: Stitch Fix #5: Paired With Vintage Flair & A GIVEAWAY! This is my 5th Stitch Fix and I feel like my stylist, Simone, is really getting me. I kept 2 items from my last fix and I could have kept ALL the items from this fix, but price and the fact that I already have similar items gets in the way. 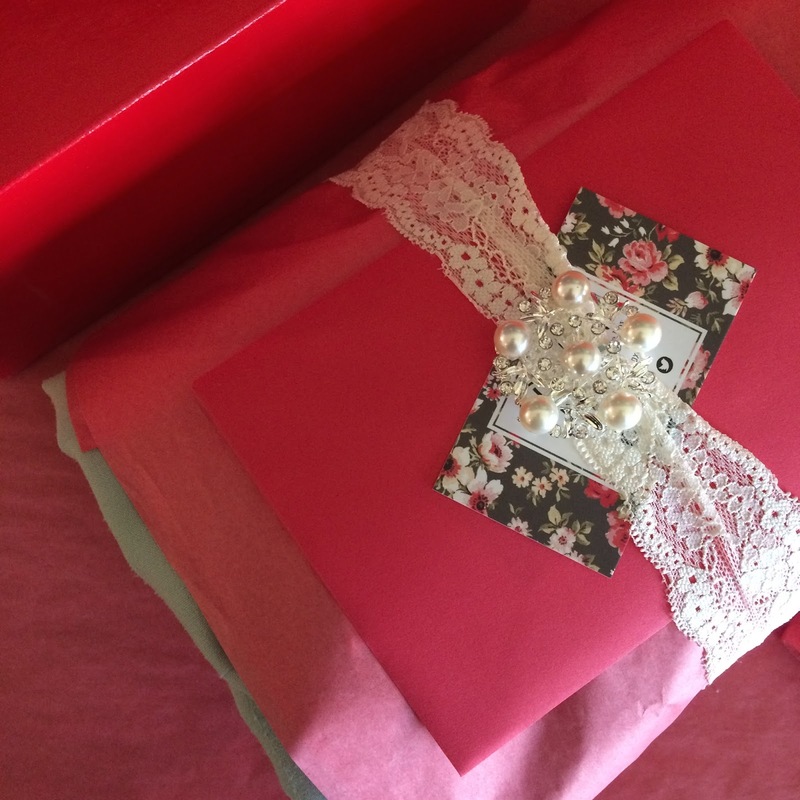 Redbird Vintage Box is an online vintage clothing & accessories boutique that also offers 2 boxes. "The Lorene" has 4-5 authentic vintage clothing & accessory items. "The Marie" is strictly 2-3 accessories. We strongly encourage people to request items from the shop to be included in their boxes, regardless of the listed price on the item in the boutique. Our goal is to match people with one of a kind items they'll love forever. It is a labor of love and we're really proud of what we've sent out since we opened last week. You can read more about the boxes HERE but for now I'm going to get on with my Stitch Fix review/reveal. I always say that I like dark colors (blacks & grays) and that I don't wear slinky/thin jersey material. I asked for Fall transitional items but mentioned that it WAS still in the 90's in TX so Summer items were welcome as well and to just surprise me. 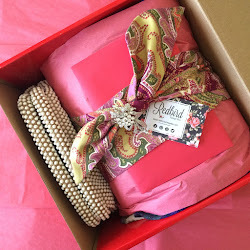 All Stitch Fix items are styled with items from Redbird Vintage Box that are either currently in the boutique or available to be requested in a box. I'm not a huge fan of patterns, but I AM a huge fan of navy and white. Classy. If this top didn't have the floral pattern all over the body I would have been completely in love with it. With the pattern, I just "liked it fine". The material is thin but not clingy and the cut is really flattering. I paired it with a 70's button down cream skirt from Redbird Vintage Box and some of my favorite new vintage accessories we just got in; a gold tone apple pendant by Avon, a gold layering necklace, dainty pearl bracelet and a little watch from Elgin. I love this skirt, the material is so thick and it just feels expensive. I don't LOVE the way I look in whites/beiges but I wanted to show off the skirt and I thought it paired nicely with the top. This blazer is REALLY soft. It has fun patterns on both the front and back. I DO like gray, but this type of gray mixed with white is just a bit too light for my taste. I love the style and how easy it is to wear, I'm planning on requesting it in black (if they have it in black) for my next fix. I paired it with the Very J black dress I got from Golden Tote a few months ago, as well as an 80's black clutch accented with snakeskin from Redbird Vintage Box. I added on one of my favorite black and pearl beaded flapper necklaces and a gorgeous rhinestone brooch that is currently for sale in our boutique. The jacket instantly made the dress transition to Fall. I so wish this blazer was black!! Sooo...I peaked at my fix. I always try not to but I have no self control. After peaking and realizing they were sending me two ponchos, which I found excessive at the time, I texted my friend (who is also a Stitch Fixer) and was all, "OMG, They're sending me two ponchos! TWO! TWO PONCHOS! Because APPARENTLY I'm a PONCHO FIEND!" I was snarky. And I want to apologize because I LOVE LOVE LOVE the ponchos. Love them. And if I WAS a poncho fiend I would keep both. But I'm not. I just really, really like them. This poncho is so warm and snuggly, so perfect for Fall. The material is lighter than a normal sweater so it is perfect for the Texas Fall/Winter where it doesn't get TOO cold. This poncho has kind of a short cowl neck and button accents on the side. I paired it with skinny jeans (I don't think any other type of bottom wear would work with these ponchos), a vintage silver & turquoise Egyptian inspired necklace and a super soft basic 80's gray clutch. Both items are available to be requested in your Redbird Vintage Box. We have a WINNER! Black, comfortable, great material and a HOOD! I love hoods. I never wear them but I like to have the OPTION to cover my head/face up at a moment's notice. This is basically the same poncho as the last, only all black and hooded. Great, soft material. Wonderful length. Great button detail. This cost $68 and while I'm FULLY aware that I could probably find this someplace cheaper it is TOTALLY worth the money for me. It is going to be a perfect staple in my Fall/Winter wardrobe. So cute and easy to throw on when I'm running late. Totally in love with and keeping it. I paired this with skinny jeans (again, the top is HUGE so skinny jeans are the only way to not look like a total bag lady) and an 80's clutch (do you see a trend? I love 80's fashion. ), added on a rhinestone brooch to give the purse some bling and topped it all off with a lucite confetti necklace by Coro, which is currently available in the Redbird Vintage Box Boutique. The clutch and brooch (as well as the necklace) are both available to be requested in either box. I was ready to cancel my Stitch Fix a few months ago but they have come back with a BANG! I liked every item they sent but try really hard to only keep things I absolutely love. So everything is going back except for my new black poncho. Basic, classic and kid friendly. Exactly what I like. I prefer to punch things up with my accessories. SO! On to the giveaway. The self promotion of our new business has obviously been apparent throughout this entire blog, so it should come as no surprise that the giveaway involves Redbird Vintage Box. It ALSO involves Stitch Fix. I'm a huge advocate of pairing vintage with modern, and Stitch Fix has amazing modern items that are GREAT to build your wardrobe with. There are TONS of ways that you can get TONS of entries into this contest. It should be pretty easy to really rack up the points. It is just basic Like this/Tweet that/Follow us stuff. If you choose to go ahead and fill out a style profile for extra points (located on the "Redbird Vintage Box" tab on our website) be sure to fill out everything properly and request items so you credit for everything. The contest starts at 12 AM October 3rd and will end at 12 AM on October 10th. I'll probably be sleeping, but will announce the winner as soon as I wake up. The support from family, friends and new customers has been amazing and we're so grateful for you guys. We're looking forward to building up our client base and getting amazing, one of kind vintage items out to perfect new homes! 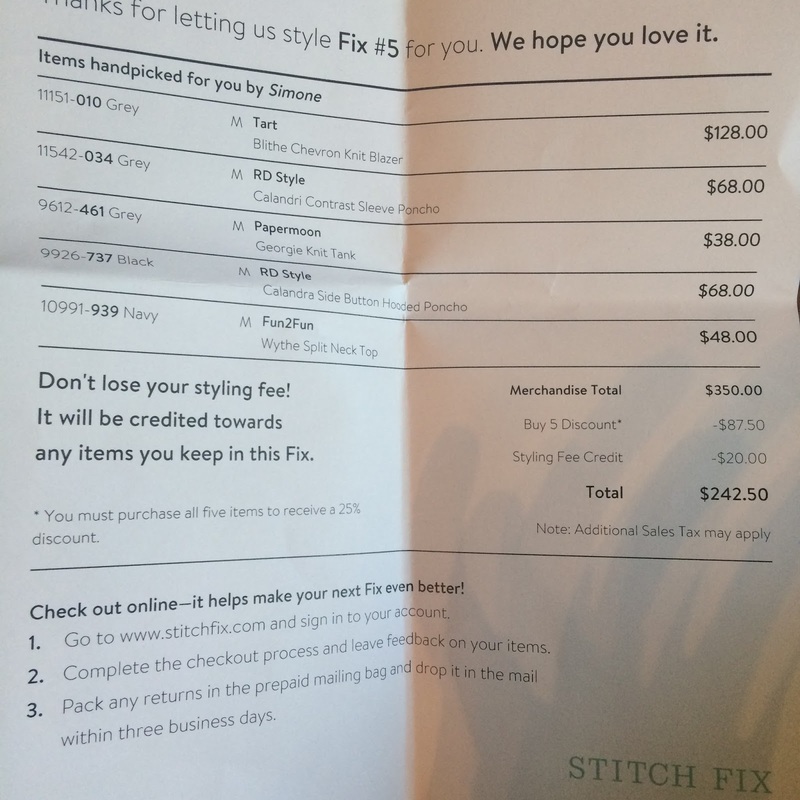 Style Card and Price Sheet for Stitch Fix items are posted below. I am SO excited to see there's a vintage box! HOW FUN! I just got my Stitch Fix box in, too, but I'll be doing this asap! Thanks, Katie! It has been a lot of fun to see how to incorporate the vintage items in with the modern! That maroon skirt is adorable! Wish I hadn't said I didn't like the 70's in my profile. What a fun idea! 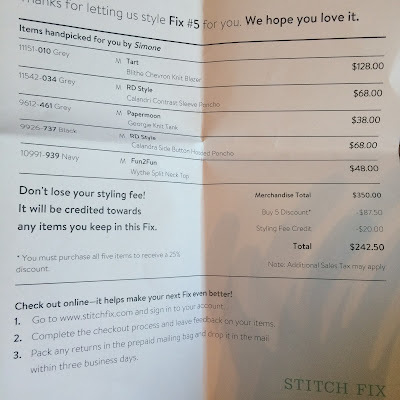 I like how you are enhancing Stitch Fix with your own adventure. So brilliant to pair with StitchFix! It really helps me see how to STYLE the items. I love the last look. It can be fancy or casual with some flats and the clutch ties it all together with a little bit of sparkle. I enjoy seeing how you paired vintage with modern pieces. Just got my first fix on Monday. I love the Sawyer Space Dye Dolman Sleeve Knit Top by Market and Spruce in Hunter Green. Definitely my favorite! I love how you styled everything with the vintage accessories! So cute! I love the stitch fix Poncho! Love Vintage items <3. I love both the ponchos you received!! My favorite Stitch Fix item so far is my Just Black Skinny jeans! They fit perfectly. Thanks for the giveaway! Love the mix of vintage and modern! You look amazing in each item! And I LOVE how you mixed in the vintage items. Would you come help me find my style in my closet? Ha! I'll definitely be checking out Redbird Vintage soon! Love how you make being stylish so simple and beautiful. I love the mix of vintage and new! Love the ponchos! My favorite vintage item that I own is a Louis Vuitton bag from the 70s. I've been using Stitch Fix for the past 5 months with other girls at work and we are absolutely OBSESSED! Can't get enough of their cute clothes! I've been receiving Stitch Fix packages for the past 5 months and I can easily say it's the highlight of my month! I love unpacking the boxes and seeing what they picked out for me! This is why I've gotten addicted to subscription/surprise boxes---it's like my birthday every month! 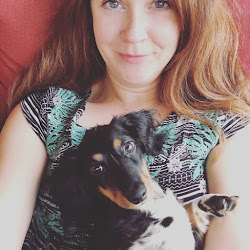 I've never used Stitch Fix, but I do like scouting out thrift stores for vintage items. My favorite was an older gorgeous ankle length coat that I found this year, it fits me perfectly! My favorite vintage item I own is a black velvet dress from about 1918. It's gorgeous! My favorite would be a white vintage purse, it is blue inside. That sounds so cute, I love contrasting linings! I love how happy you look in that poncho! I don't have one yet, but I have a fix coming next week!! I have a vintage necklace of my great-grandma's! It is my fave! I love my mom vintage jade ring. A vintage box sounds like so much fun! I have a brown leather fringe hobo purse that is vintage and I love it! I received a pair of Kut From The Kloth skinny jeans via Stitch Fix, and I wear them all the time! Love love love!! Thanks for offering this giveaway! I have GOT to request Kut From The Kloth in one of my next Fixes. Everyone loves them! I love the slate grey poncho and take sewing classes at boarding school :) I'm using mums gmail as I don't have a gmail. My favorite Stitch Fix item is a pair of Kut from the Kloth jeans! I get a lot of use out of them.